New York, March 7, 2017 — MicroMax today introduced two new high-end, high performance rugged systems based on the VITA 75 standard. The M-Max 871 EP4/MMS and M-Max 771 PR7 both employ the newest M-Max V75 chassis. MicroMax’s newest systems are the evolution of the VITA 75 line of products which showcases MicroMax’s engineering ability with high performance PC/104 based systems. These rugged high performance industrial computers for tough environments comply with MIL-STD-810G and airborne MIL-STD-704F. Providing shock and vibration protection, the new systems can operate under extreme temperatures (-40 to +65 °C). All connectors are IP67 or higher. The extremely powerful M-Max 871 EP4/MMS is comparable to a high-end desktop. Configured with Intel Quad Core processors, it can house up to 32 GB of RAM and a storage device up to 1 TB. 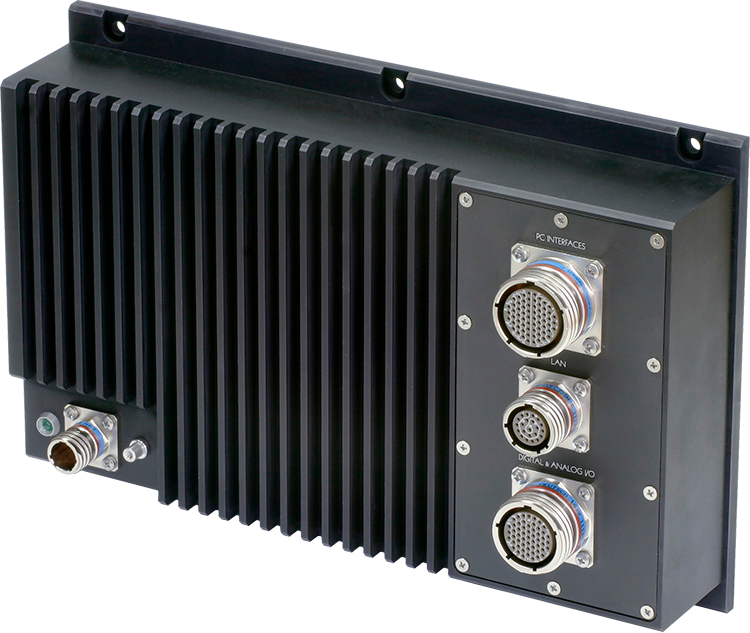 The M-Max 771 PR7 boasts vast onboard data acquisition features. The standard configuration includes 16 DIO lines. Options include sixteen 16-bit analog inputs, four 16-bit analog outputs and six additional digital I/O lines. Each system is housed in a MicroMax M-Max V75 chassis. This fully sealed rugged enclosure is designed according to the VITA 75 footprint. It was developed to build high performance PC/104 systems that offer high reliability by passively dissipating heat without moving parts. The completely fanless chassis uses natural convection and conduction cooling. Typical systems housed in this VITA 75-compliant enclosure deliver IP66 dust and moisture protection while withstanding shocks up to 40g and vibration up to 2.5g. The M-Max V75 chassis is tested and guaranteed over a temperature range of −40 to +65 °C. Its embedded power supply complies with a MIL-STD-704F specification. The new version is highly customizable and provides even greater flexibility due to the new layout. You’ll be able to see and discuss the new M-Max systems at the Diamond Systems Corporation stand at Embedded World 2017 in Nuremberg, Hall 3, Booth 354, March 14-16.